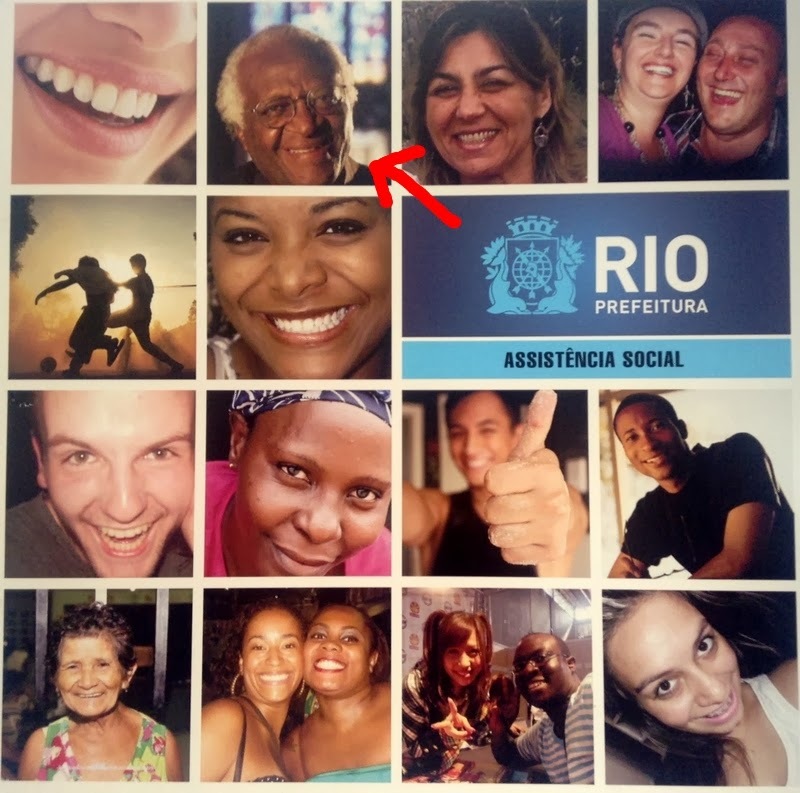 Who knew that fellow King’s alumn and anti-apartheid activist Desmond Tutu was...Brazilian? There he is, smiling sweetly down from the big poster hanging on the wall of a social project in the middle of a slum in Rio. I had to do a triple-take. I guess his face is not entirely out of context. Is he meant to represent social struggle? For me he represents laziness on the part of the designer. Note the painfully PC balance of male and female, caucasian and non-caucasian faces. No time to take photos of real people in your community? Don’t sweat! Just plunder a random selection of Instagram accounts or spend a few seconds on a Google Image search! Looking again at the falsity of all those rictus grins, the poster wouldn’t look out of place at my dentist’s surgery. No sadness here.